(JASPER COUNTY, SC) Peacock Subaru in Hardeeville, S.C., was jammed Sunday afternoon with several hundred people who turned out for a watch party for Animal Planet's Puppy Bowl XV. Animal Planet crews were in the area in December to film puppies between 3- and 6-months old at the dealership and PAL's facilities. Footage from the shoot was incorporated into vignettes aired as commercial messages for Subaru during Puppy Bowl XV. Subaru of America picked Peacock Subaru for the spots because of its involvement with local animal welfare organizations. The Palmetto Animal League brought adoptable dogs to Sunday's party. Supported solely by individual donors and "Partners in Rescue" such as Peacock Subaru, PAL's no-kill shelter serves as a temporary residence for about 200 dogs and cats. The puppy bowl began when Animal Planet, a cable network focused on animal-themed shows, confronted the question of what to program against the Super Bowl with a mock football game featuring puppies playing on a gridiron-marked rug. The idea caught on and now attracts millions of viewers. 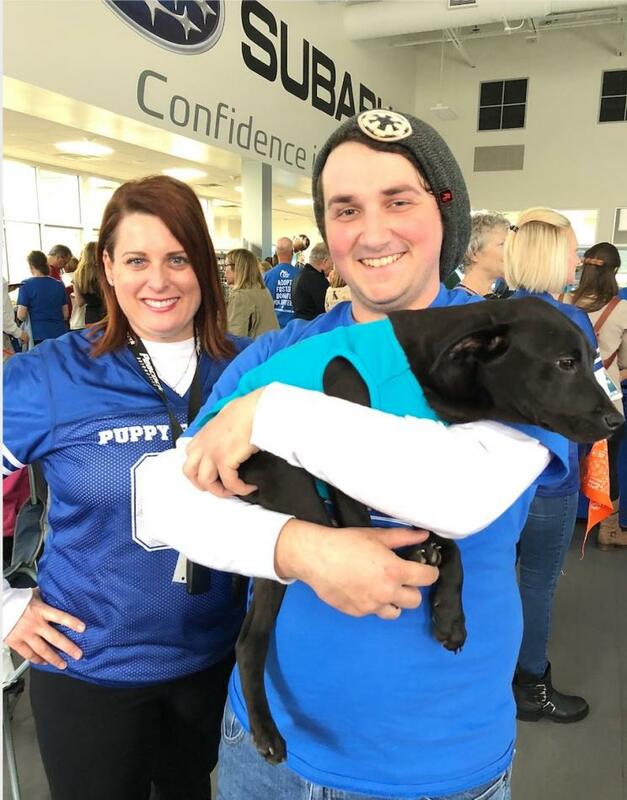 Since its inception, the program has starred adoptable puppy "players" and has since added kitten "cheerleaders" and other pets looking for a hom. Palmetto Animal League is a private, non-profit, no-kill animal rescue organization that saves abandoned, abused and neglected pets and places them in loving homes. Visit PAL's adoptable cats and dogs at their adoption center, located in Okatie's Riverwalk Business Park, Monday through Saturday from 12 p.m. to 7 p.m. These are Lives Worth Saving. Join the No Kill movement today by visiting www.PalmettoAnimalLeague.org.